For other places with the same name, see Tayabas (disambiguation). For the barangay in Quezon City, see Payatas. "Home of The Finest Lambanog"
"Rest and Recreation Destination of Quezon"
"City of 11 Spanish Bridges"
"Old Capital of Tayabas Province"
Tayabas, officially the City of Tayabas, (Tagalog: Lungsod ng Tayabas), or simply known as Tayabas City, is a 6th class city in the province of Quezon, Philippines. According to the 2015 census, it has a population of 99,779 people. It is known for lambanog (coconut arrack) and sweet food/delicacies, as well as tourism resorts. Tayabas is also known as the City of Festivals because of its colorful festivals. The city is known for resorts, heritage houses, historical landmarks, more than 20 Spanish stone bridges with under-carvings from Filipino ancestors, nationally important archaic stone crosses from the 16th century which is believed to be homes of nature spirits, rest and recreation destination, and festivities. It is the former capital of the Province of Tayabas, now Aurora and Quezon. The prevalent architectural sites of the city, including its bridges, has led numerous scholars to campaign its inclusion in the UNESCO World Heritage List. Tayabas is politically subdivided into 66 barangays. In 1578, Fray Juan de Plasencia and Fray Diego de Oropesa, two Franciscan missionaries from Spain founded the town of Tayabas in order to spread Christianity to its natives. Prior to the occupation, however, the native Tayabenses lived in rural settings typical to those times, with barangays headed by village chiefs and councils of elders. During this time, ancestral stones and rocks that the people believed to be homes of nature spirits were turned to stone crosses due to the influx of Christianity. These rocks were worshiped by Tayabas ancestors as deities or gods. These stone crosses exist up to this day, however, many have been stolen, uprooted, sold and destroyed due to the belief of foreign treasure hunters that each cross contains treasures. Historians and archaeologists have disproved these claims by treasure hunters and have found no treasure in any archaic stone crosses in Tayabas. The destruction and uprooting of these crosses has endangered the stone cross tradition of Tayabas. From 1605 to 1901, Tayabas was the capital of the Province of Tayabas, now known as Quezon. In the 19th century, Tayabas was among the biggest towns in the country. Its Minor Basilica of St. Michael the Archangel, which was enlarged in the mid-1850s, is the longest church in the country and is a lasting testament to its glorious and historic past. In more than three centuries of Spanish occupation, only eight cities and towns were given the title of Villa, and Tayabas was one of them. These are La Villa del Santisimo Nombre de Jesus de Cebu in 1565, La Villa de Santiago de Libon (Albay, 1573), La Villa Fernandina de Vigan (Ilocos, 1574), La Villa Rica de Arevalo (Iloilo, 1581), La Noble Villa de Pila (Laguna, 1610), La Muy Noble Villa de Tayabas, (Tayabas, 1703), La Villa de Bacolor (Pampanga, 1765), La Villa de Lipa (Batangas, 1887). Tayabas was given the title of 'most noble' villa which means it was put in the ranks of nobility. In the book "The Philippines," written by French traveler Jean Baptiste Mallat, and published in 1846, it appears that Tayabas had more than 21,000 people at that time. This was reduced to 16,000 when Lucena became an independent town in 1879. Due to low population growth during the Spanish period, this number remained unchanged until the coming of the Americans. Tayabas is at the center of the province's long-settled heartland, which possessed the best lands, the oldest parishes, and the most active commercial centers. The provincial heartland was described by Pres. 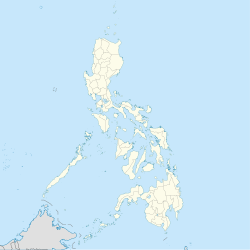 Manuel L. Quezon as having the "richest and gayest places in the province." Tayabas has many places of interest. Its Casa Comunidad, a centuries-old building, is the place where Apolinario "Hermano Pule" Dela Cruz was tried and sentenced to death in 1841. It was restored in the 1990s through funds donated by the "Friends of Casa Comunidad," an organization of affluent Manila-based Tayabenses. Its numerous Spanish-era bridges mirror its rich architectural past. [tone] Two of the longest are the Malagonlong and the Malaoa bridges. Malagonlong's high arches and its solid design are some of the reasons why it was declared a national historical site. It is so strong that it withstood the dynamites planted there to stop the Japanese advance during World War II. Tayabas suffered a terrible blow near the end of World War II when it was completely burned to the ground after a bombing raid on March 15, 1945. Prior to that, the old houses of Tayabas rivaled those of Vigan's Spanish-era structures. Exemption from Republic Act No. 9009. — The City of x x x shall be exempted from the income requirement prescribed under Republic Act No. 9009. In November 2008, Tayabas and 15 other cities lost their cityhood after the Supreme Court of the Philippines granted a petition filed by the League of Cities of the Philippines, and declared unconstitutional the cityhood law (RA 9398) which had allowed the town to acquire its city status. The Supreme Court ruled that they did not pass the requirements for cityhood. The major agricultural products of Tayabas are rice and coconut. It is also known for Sweet delicacies, Budin (Cassava cake) and lambanog. Tayabas is a City of Festivals in the Philippines because of its numerous celebrations and colorful festivals. Tayabas is a visited-town due to its wonderful festivals and it has continually drawn large crowds since it started. Taytsinoy Festival - As part of Chinese New Year, the City of Tayabas celebrated its Taytsinoy Festival last February 2–5, which served as a connecting bridge between the Chinese and Tayabense people. The festivity also aimed to heal discrimination between the Tayabenses and Chinese folks. Tayabenses commemorated the event to impart themselves with the tradition and belief of Chinese society. Aligned with this were some Chinese activities being adopted by Tayabenses and contests like Chinese Garter Contest, Kiamoy Eating Contest, Chopstikan ng Pancit Habhab, Binibining Taytsinoy, and a lot more. The highlight of the event was the Dragon and Chinese Presentation in Parke Rizal and Pagdalaw ng Leon at ng Dragon at Tayabas Poblacion wherein all people undeniably enjoyed, especially the children. The four-day celebration embodying numerous events greatly gave a bunch of fun to all Tayabenses and guests. Ultimate learning, awareness of the Chinese culture and tradition, and endless merriment were being brought out by the municipality. Turumba Festival -(Holy Week ) - a celebration in honor of the Nuestra Senora de Turumba. Tayabense dance as a thanksgiving to the virgin Mary in the main thoroughfares of Tayabas. Thousands of devotees from Quezon visits the Nuestra Senora de Dolorosa Church. Mayohan sa Tayabas - A stellar attraction during the month of May. A grand, colorful and folsky Parada ang Baliskog welcomes a guest to Mayohan Festival. "kog" means arc, a welcome arc. The more the imaginative decked it with local flowers and palay. Yearly, 66 barangays, government, and non-government organizations, art groups join the parade. A display of baliskog made indigenous materials like coco leaf, coco husk, bamboo poles, buli, rattan, dried flowers and tistis filled the streets of Tayabas and joyously welcome visitors and the summer season. Mayohan Festival ranks as a major festival in the region. It continually draws a large number of crowd since it started in 1989. Hagisan ng Suman (Mayohan Festival) - Suman is the ritual gift of Hagisan. Hagisan is an opportunity for the Tayabasin to share their prosperity. Bundles of suman are gaily tied in a bamboo called bagakay, exhibited and installed at households along the procession route. As soon as the image of San Isidro passes by the bagakay must be emptied of its colourful array of abundance, which aside from suman, includes banana, mango, buko, pineapple, and other local farm produce. In most houses, suman and other farm produce are no longer tied in bagakay, they simply throw them with passion and great enthusiasm from their decks, balconies, or windows to the multitudes of peasants and workers. Hagisan means throwing or sharing away. Pa'yas kay san Isidro (Mayohan Festival) -"Pa’yas kay San Isidro" is a visual delight. All houses along Felimon Perez Street in the four barangays of Muntingbayan District are decked with indigenous materials and fresh farm produce. Viewing is every May 13 to 15. Aguyod Festival - Ang pagdiriwang ng Aguyod Festival ay Hindi lamang naglalayong linangin ang kakayahan ng mga Tayabasin sa larangang ng sining kagaya ng pagsayaw, pag-arte at pagrampa sa entablado, manapa’y nilalayon din ng pagdiriwang na maipamulat sa mga Tayabasin ang kahalagahan ng pangangalaga sa kalikasan at sa kanilang kapaligiran sa pamamagitan ng wastong "waste manangement"at mabigyan ng pansin ang pagpapaunlad ng lokal na turismo kaalinsabay ng pagpapasigla ng negosyo ng mga lokal na mamumuhunan. Hermano Pule A.K.A. Apolinario Dela Cruz - A commemoration of the martyrdom of Apolinario dela Cruz (Ka Puli). A native of Lucban who organized and led the Cofradia de San Jose, a confraternity which resisted the Spanish rule from 1832 until the time of his death in 1841. Puli was shot by firing squad on November 4, 1841, outside the vicinity of Casa de Comunidad in Tayabas. His body was cut up into pieces and his head put in a cage, stuck into a pole, and placed in front of his mother's house. The event aims at gaining respect and national recognition to the heroic deed of Apolinario dela Cruz or Hermano Puli. Araw ng Tayabas (August 13) - Designated as the day for commemorating heroism of Tayabasins. The event calls for unity, strengthens social bonding and encourages Tayabasins to renew commitment to service. Feast of San Miguel Arkangel - (September 29)- Celebration of the fiesta. Festejo de los Angeles -(Sept.22-29 ) -celebration of the Town Fiesta. It is where people wearing an Angel suit parades all over the main thoroughfares of the city. Tayabas is rich in history as it was the capital of Tayabas Province (Now in Quezon) during Spanish era. There are falls, caves, river, and hills/mountains to discover. The Minor Basilica of St. Michael the Archangel is a Roman Catholic basilica located in Tayabas, Quezon. It is the largest Catholic church in the Province of Quezon. It is renowned for having the shape of a key. Locals often refer to the church as Susi ng Tayabas. On October 18, 1988, the title Minor Basilica was conferred by Pope John Paul II. It was proclaimed on January 21, 1989. Constructed in 1831 when Don Diego Enriquez was gobernadorcillo, it is primarily designed as a guesthouse for visiting Spanish dignitaries. According to Buzeta and Brazo, Tayabas in 1851 had a Casa de Comunidad where the prison was located. The Tribunal seems to have been located in the Casa as well. In 1887, Juan Alvarez Guerra, a Spanish official, says that "beyond dispute, it is one of the best in the Philippines... It has spacious halls, magnificent decor, and ornate furniture". He adds that at one corner of the Tribunal was the telegraph station. Unfortunately, shortly after his book was written, a horrific fire consumed the building as well as others in the city. Alfred Marache locates the fire at around 1882–1883. During the American period, the reconstructed building became a public school. Thus from being the center of the local judicial system, it became the center of the community's intellectual life. It was destroyed once more in the bombing of 1945. In the 2000s, Casa de Comunidad was reconstructed by the National Historical Institute. Casa de Comunidad is a national historical landmark which houses the local museum and the municipal library. It is host to many cultural and historical activities. This century old building, is the place where Apolinario "Hermano Pule" Dela Cruz was tried and sentenced to death in 1841. A declared historical site by the National Historical Institute and a potential candidate for UNESCO World Heritage, Malogonlong Bridge is one of the oldest and longest stone arched bridges found in province of Quezon. It is a 136-metre-long (446 ft) bridge built between 1840 and 1850 under the direction of the "Ministro del Pueblo," Fray Antonio Mattheos, a Franciscan priest. It was the longest bridge ever made during the Spanish colonial era with approximately 100,000 adobe blocks used. One of the oldest church in Tayabas. The chapel was built in 1838. In 1887, the chapel was described as having a small cloister, a modest presbytery and a sacristy to the right side of the presbytery. The walls had four windows of capiz and glass. In March 1945, the chapel was destroyed due to American bombings and only the walls remained. However, the walls served as a guide to its eventual restoration. Built in 1855, the church was called "Cementerio de los Españoles" during the Spanish period. A former cemetery and now a place for devotees of San Diego de Alcala. The cemetery was built in 1887. Today it is called "kamposanto". The cemetery has a gate composed of two stone column that carry a grill sign. The grills have two designs: 10 A rising sun symbolizing hope and thus a new life; 2) "O muerte, que amarga es tu memoria" (O Death, how bitter is your memory), and "Bienventurados los muertos que mueren en el Señor" (Blessed are the deceased who die in the Lord). Kalye Budin is actually a short portion of Emilio Jacinto Street, a few blocks away from the public market, where local and foreign tourists drop by just to grab freshly baked budins (sold at PHP 28/USD 0.64/IDR 5,714 per cake) and other delicacies the town and the province are known for. Nilupak (pound cassava cake), halayang ube (sweet purple yam/taro), ube candy, pastillas (milk candy), espasol (sticky rice snack) and tikoy (the local version of the Chinese sticky rice cake) can also be found there. Lucban longganisa (sausage), pansit Lucban (noodles), puto seko (rice cookies) and the potent but liked lambanog (coconut wine/vodka), uraro (arrowroot cookies from Catanauan) and apas (thin sweet cookies from Sariaya), as well as mazapan (another kind of milk candy), cassava chips, fish crackers and meringue are also sold. Located at Jose Rizal corner M.H. del Pilar Street and currently owned by Esther Nagar - Torio. Nagar house is actually a duplex type of residence in which one half is occupied by the current owner while the other half is rented out. Made of wood on both sides and probably dates back to the early 1900s. The house may not be outstanding design-wise. But, like other houses of pre World War 2 period, it is designed well and functional. High ceilings, wide windows, and below are ventanillas. The wide eaves of the roof are repeated by the wide and long media agua. The emphasis on its horizontal form makes the house seems larger than it is. The espejos located above the windows are of half cart-wheel design. These provide a contrast to the rectangular framework of the windows. The calados in the transoms are of two types. One is made up of cut woodwork in stylized lotus pattern while the other is made up of bars of wood either in diamond patterns, or in vertical and horizontal formation. The family of the San Agustin was the most prominent family in Tayabas during the first half of the 20th Century. The ruins of the mansion, located along Rizal Street highlights their prominence in the city due to its proximity to the Casa Comunidad and the parish church. Unfortunately the mansion was destroyed in the bombings of 1945. The ruins is made of reinforced concrete. They consist of two columns supporting what must have been a balcony over the main doorway. Plant motifs in bas-relief adorns over a section of the ruins. Located along Ponce Street, a few paces away from the ruins of the San Agustin mansion and the Casa de Comunidad is the school for Chinese-Filipinos. According to local history, the structure was the former mansion of Ubaldo Potenciano who then bought the property to its original owner, Mayor Ragudo of Tayabas. During the war, Ubaldo Potenciano and his son were executed by the Japanese for aiding the guerrillas and local soldiers. After his execution, Ubaldo Potenciano's daughter sold the property to the Chinese. this became a Chinese school in 1959–1961. However, in the 1970s it ceased to be a school. The building is of two stories in reinforced concrete. It has four bays in front, and another four bays on the side. It mixes decorative styles. The lower part has a front arcade with four large arches in trefoil style. The pilasters separating one bay from the other have fluted lines which are slender and thin in form. A fleur-de-lis decorates each keystone of the arches. The upper story is designed somewhat in the 1950s style. It has short, wing-like sun breakers separating one window from the other. It appears that the ground floor was constructed in the first half of the 20th century. The upper portion was destroyed in March 1945. After the war, the second floor was renovated. The Baldovino house is actually a ruins of an old house which was adaptively re-used. Probably one of the old houses that was destroyed in World War 2. The outer exterior walls is made of thick adobe walls which suggest that the house is probably pre-1880s. The date of origin of the house is 1901 as inscribed in a wall of the house. The house is of two story. The lower part of the house is made of wood which sits on a low stone pedestal. This method of construction suggest that the house was originally located in the other part of the town then transferred piece by piece on its present site. The house front has three bays and retains its 1900s look: large windows, ventanillas with iron grilles adorned with four-petaled flower, decorative bandejas on the walls between windows and cut-out floral patterns on the transom between rooms. The Sumilang house is strategically located right close to the public market. According to local history, the house was never completed because it was overtaken by the Japanese in 1941–1945. The house, though in ruins, remains magnificent. It is entirely made of reinforced concrete. Its style connects with traditional Filipino architecture, while responding to the trends of its period in the 1930s. House bays are separated by pilasters. There are subtle floral decorations at the corners of the windows. Supporting corbels are scroll-shaped in form. The trapezoidal-shaped windows are typical of Art Deco style of the 1930s. Originally, the Orias house was the ruins of a former chapel honoring San Diego de Alcala on the road from Tayabas to Sariaya. The former chapel was never restored to its former condition. Instead, it was roofed over and transformed into a house. The walls of the former chapel are of adobe, covered with lime plaster. The interior space is unusual for a house. It is at least four bays deep and has no dividing stone walls. The latter feature is expected from a chapel space. The structure's most notable feature is its history as a former chapel-turned-residence. Jeepneys and tricycles are common options when travelling to destinations within the downtown and the city. Ireneo Samaniego – Leader of the Tayabas Regiment stationed in Malate, Manila who fought the Spaniards at Fort Santiago in 1843 to avenge the death of Hermano Pule. Heidi Lloce Mendoza – Undersecretary General for the United Nations Office of Internal Oversight. The truth teller during the anomaly in AFP, and Quezon Medalya ng Karangalan awardee. Tommy Abuel – a multi-awarded actor in the Philippines. ^ "Tayabas, Quezon Climatological Normal Values". Philippine Atmospheric, Geophysical and Astronomical Services Administration. Archived from the original on 18 October 2018. Retrieved 18 October 2018. ^ "Tayabas, Quezon Climatological Extremes". Philippine Atmospheric, Geophysical and Astronomical Services Administration. Archived from the original on 18 October 2018. Retrieved 18 October 2018. ^ a b Ateneo Cultural Laboratory Report on Tayabas, Quezon. ^ a b c d Ateneo Cultural Laboratory Final Report on Tayabas, Quezon. Wikimedia Commons has media related to Tayabas. This page was last edited on 7 April 2019, at 08:36 (UTC).